It was a mild surprise for legal observers but it was a major vindication for new Wisconsin Democratic Gov. Tony Evers. A state judge on March 21 declared illegal the lame duck laws passed in December by the GOP-dominated legislature. 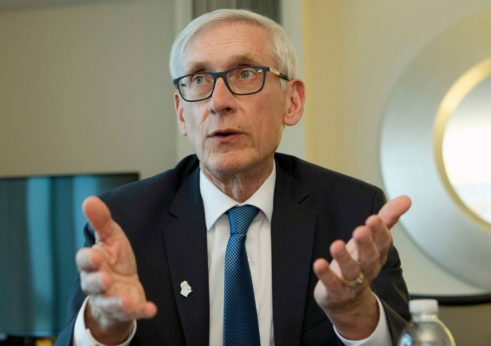 The judge simultaneously vacated more than 80 appointments to state boards and commissions authorized by those laws and sped along by the departing governor that Evers defeated. Dane County Circuit Court Judge Richard Niess issued a sweeping temporary injunction stopping as illegally passed a series of lame duck laws and their consequences that limited the power of both Evers and new Attorney General Josh Kaul, also a Democrat. The decision confirmed how the Republicans tried to kneecap the new governor even before he was sworn in. It also reminded citizens how state constitutions in their precise language can differ from the federal constitution. Evers immediately reacted to the favorable ruling by withdrawing Wisconsin from the national Republican lawsuit on Obamacare aimed at stopping coverage of pre-existing conditions. The best-known lawsuit from the GOP had an early success before a Texas judge but faces a tougher road on appeal. Wisconsin had been included in the attack on the ACA by former Gov. Scott Walker and the legislature, which specifically prevented Evers in its lame duck session from withdrawing the state involvement, as he had campaigned to do. On March 21, Kaul immediately followed up on Evers wishes with a legal request to leave the multi-state actions against the ACA. Both Kaul and Evers refused to give details but didn’t preclude taking other actions based on this ruling. Evers had been criticized by other Democrats for not directly refusing to obey the lame-duck laws but he had long insisted that citizen groups were lined up in opposition and he was confident they would prevail. So far they have. Judge Niess was responding to the lawsuit brought by the League of Women Voters, Disability Rights Wisconsin, Black Leaders Organizing for Communities and three Wisconsin citizens. 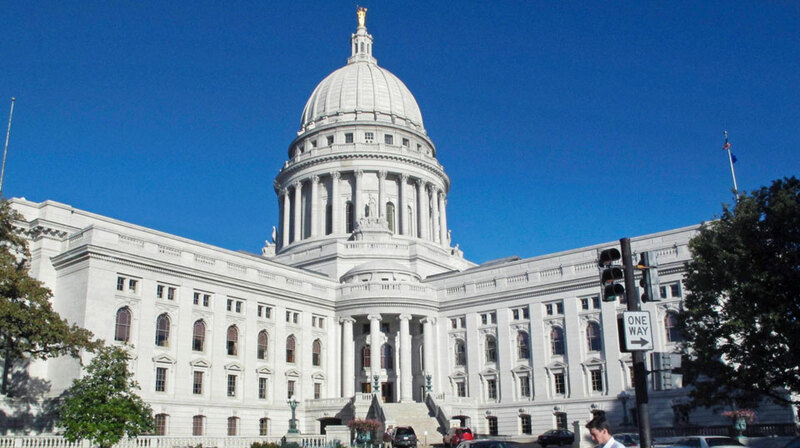 The suit claimed, and the judge agreed, that the lame duck session was illegally convened based on a committee vote (technically a joint resolution) and not on procedures outlined in the Wisconsin Constitution. The Republicans now threaten that the ruling could void years of laws created in previous lame-duck sessions, but the judge called that view “alarmist” and emphasized he was only dealing with how this one was illegally conceived. “The bottom line, in this case, is that the Legislature did not lawfully meet,” thus violating the state constitution, Neiss wrote. Evers acted quickly on withdrawing from the ACA lawsuit, but has indicated he may go slower with other freedoms the temporary injunction give him, specifically naming University of Wisconsin system regents and appointing a new head of the troubled Wisconsin Economic Development Corporation, the commerce agency Walker created that is responsible for the Foxconn deal and other state business initiatives. Niess’ ruling immediately vacated some 82 appointments Walker had made and the legislature approved stemming from that lame duck session. Evers conceded in interviews that his slow pace involved digesting the ruling and recognizing reality that the Niess decision is likely to be appealed up the chain in a state judicial system that has leaned Republican in the past, though he expressed confidence that “other judges will also uphold the state constitution. Niess emphasized he was only labeling illegal this extraordinary session. Were the others correctly constituted? That could be an argument in other lawsuits. There were three other lawsuits involving this lame duck session. The first, in federal court, has already been decided in favor of the plaintiffs and was an attempt to curb early voting. But it annoyed federal District Judge James Peterson that the Republican legislators were trying to, play games with his previous ruling with a few changes of language. He threw out those laws on early voting curbs January 17 as a contradiction of his decision. Another lawsuit brought by unions has a hearing scheduled next week. 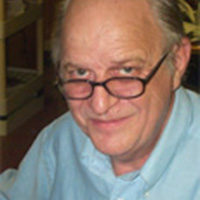 The SEIU (Service Employees International Union), the Wisconsin chapter of the American Federation of Teachers, MASH (Milwaukee Area Service and Hospitality Workers) and the Wisconsin Federation of Nurses and Health Professionals (WFNHP) claim the entire lame duck session was a “naked power grab” removing long-established powers from both the governor and the attorney general. The Republicans continue to obstruct, most recently by refusing to consider any of Evers’ $2.5 billion in building projects– an unprecedented opposition that was intended as their symbolic thumb in the eye. It was doubly mystifying since the building projects, including military and academic requests, had quietly cleared all the original commissions involved. Over time the Republicans can and probably will approve piecemeal many of Evers’ building plans, but they are signaling they will be ferocious in opposition to his budget ideas, trying to make the public believe the Evers name is not attached to any of the projects they eventually support. The Democrats, in contrast, believe the public will clearly see which side is being obstructionist.